How are your plans going for worship on New Year’s Day? The initial conversation for the Narrative passages is here. Narrative begins the year with blessings for Jesus by Simeon and Anna. The Revised Common Lectionary conversation was started here. Rachel weeping for her children may not be what we want to hear, but it may be what we need. I’ve got some gingerbread and Christmas cookies galore. What I probably need is hummus and carrot sticks. Are you doing anything to mark the new year? We won’t be celebrating Epiphany until next week, so that is when we’re doing Star words. But giving people a new word to start the year would also be good for New Year’s. Welcome to the party! Hope your preaching preparation is coming along well. Share your ideas here. And welcome to the party! Marci Auld Glass is the pastor of Southminster Presbyterian Church and lives with her husband and sons in Boise, Idaho. She is a graduate of Trinity University and Columbia Theological Seminary. She serves on the Clergy Advocacy Board of Planned Parenthood and the Mission Agency Board of the Presbyterian Church USA. 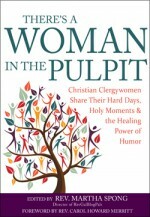 Marci blogs at Glass Overflowing and is among the contributors to the RevGals book,There’s a Woman in the Pulpit (SkyLight Paths). Thought I’d try to stay offline tomorrow morning, so would look for the party tonight – and here it is! Preaching Matthew, about refugees. One of the email chains I got recently said something to the effect that “Muslim immigrants are essentially the same as suicide bombers” — so yes, we need to hear it. As it happens, there were a couple of would-be Muslim immigrants in our congregation Christmas Eve, future family members being kind and gracious to me. When I traveled to Egypt 3 decades ago I saw the homeless living among the tombstones in the cemetery. Hi Marci, thanks for hosting this weekend. with John 1 and Hebrews 1, Christmas day readings, i was planning on talking about incarnation tomorrow, but after three days, and nights, of extreme heat and humidity, i am no longer thinking. There is a skit from Cloth for the Cradle on Incarnation, which is about as half as long as my usual sermon, and there is also communion – so i may not say much at all in the ‘sermon’ spot. We are going to the beach tonight with some people from the church, but it won’t be a late night. Now it is time to go and make some zucchini slice to take for dinner. can someone please send some snow our way. I’ve got the cold and sub zero temps to share. Happy to share! I am going off lectionary to preach on John’s Prologue. We didn’t read it on Christmas day and it seems apt for the start of a new year to remember that God was and is and always will be at the beginning of all things. I have a reflection written and a liturgy around it [looking back and allowing us to reflect on it – and then moving forward in hope] but it is still very ‘clunky’ and I am planning to go back to it later and read the whole thing through, cutting, editting and revising as I go. As our worship is designed to be informal tomorrow, I feel it needs to walk a fine line between scripturally nourishing worship and comfortable, relaxed time in communion with each other and God. I have so many Christmas pies here that one congregation cannot possibly eat them all before Easter – please help yourself. There is hot strong filter coffee in the pot. I am nipping out to the shops with my family but I will be back later- hopefully with something worth sharing for those also using John 1. We read that last week and it is so lovely. Found the sermon from Christmas 2008 on the John reading, that gave me a story, and a paragraph or two. I used the RCL readings for New Year’s Day. For everything there is a time/season and the sheep/goats text from Matthew. I’ve got a nod to Herod this week and next week it is all Herod with Epiphany. Went with the context of how do we (or do we) allow the Christmas story to affect our decisions made in the new year. The title became: Paradoxical Surprises. I’ve got to work on the conclusion today as in my head it makes sense but needs some work to get that image across. Maybe a movie today. I’ve seen Collateral Beauty and it is a powerful wonderful movie. So, I am toying with Rogue One or Fences. I recommend Arrival, Manchester by the Sea, and Loving. I missed Arrival when it was here. Manchester by the Sea also looks excellent. I’ll have to check on Loving as I have not seen it listed. Arrival is my favorite movie this year. I’ve been pondering it in my heart ever since. Loving is about the mixed race couple who led to the Supreme Court ruling in the 60s that turned over those horrible miscegenation laws. So I am not preaching as such tomorrow; the in between Sunday I normally take off and the congregation has lay led lessons and Carols. First Sunday of the year is usually communion – so I’ve created a lessons/ carols/ communion mix up. 7 readings; 5 carols/hymns/ probably some reflective words as I introduce the readers. If I stick with the NL next week is Jesus’ baptism, so no wise men this year; I haven’t decided if I’m going to do star words with them again; they have been well received, but I am wondering about changing things up and leave the star words for another year. I’m not preaching tomorrow either, and I think with all of my birth family revelations this Christmas, I’m thankful for that. We are doing an epiphany/baptism of the Lord mash up next week. I’m going with Epiphany this week, and doing star words. I’m not even sure if the congregation has done them before–this is my first official Sunday as their new part-time pastor. I’m using the Isaiah text, with a nod to the wise men. I have a draft I wrote a week ago and haven’t looked at yet. As I recall, it needs some livening up. I’m hoping to do that quickly and then work out some complicated pieces to next Sunday’s liturgy. Added to the fun: my clergy spouse will be in the congregation, which I am definitely not used to. We still (!) have Christmas candy to share. Please, eat it. Please. Some soup may or may not get thrown together this afternoon. Yay for new beginnings! I’m so excited for you (and them!). We will be worshipping in the round in our Stone Chapel and celebrating communion. I am planning to do Star Words but cannot find liturgy or description of this for a congregation doing it for the first time. Can someone post how you frame it in worship and any liturgy you use? Going to make stars with words later today. After a wonderful week of relaxing, I have much to do today! Thank you. I don’t have a written liturgy for it, maybe someone does. I invite people to take a star and then be on the lookout for how God might be speaking to them through that word during the coming year. People can’t rifle through the basket when they come forward for them, but if after worship they need to switch, they can. My congregation has done it enough now they trust their word will choose them even if they don’t like it at first. has offered something similar to her students. Glad that it’s getting traction in so many different places. I’m going with the Narrative Lectionary. Talking about how Anna & Simeon recognized Jesus as the Messiah and the challenges he would bring. Asking how we are going to recognize Jesus in the congregation, in the community, in our families, in the world. Then we’re doing a version of John Wesley’s annual covenant. A colleague Richard Both in Vancouver, BC has adapted it because truthfully it’s a tad long and not the most friendly language but I think it’s a good thing to do on the first day of the year. In the late afternoon, going to a neighbouring congregation for their later worship and a potluck of all our leftovers! The minister is an awesome musician so I’m hoping we’re doing some singing. Today though, we’re off to see a musical downtown Toronto, Ontario called “Come From Away” which is about how a small community in Newfoundland offered hospitality, warmth and hope to well over 8,000 stranded passengers at 9/11. It’s going to NYC shortly so if you get a chance to see it, do so! I remember that story after 9/11, but didn’t know they had made a show. What a lovely story. I suspect there will be lots of Simeon/Anna kinds of blessings in that musical. Liturgy work mostly complete (I’m trying to combine ordination/installation of elders along with making up some sort of liturgy for “installing” me as a stated supply pastor. Thankfully, a colleague from the Presbytery’s Committee on Ministry will be present to help). Sermon draft revisited and edited. I’ll probably come back to it later. Star words cut out in December, thankfully. (A friend had a Christmas card addressing party. Having no Christmas cards to address, I found another mostly mindless task to take with me). I’m about to go out and find some lunch and run a few errands. Who needs something while I’m out? I need marzipan. By ‘need’, I mean ‘want’. I’ve never needed that, nor wanted it, nor am I certain exactly what it is. I’ll look for some for you, though! Hmm. Now I realize that my own two kids are coming tomorrow, and a high school friend (!) is bringing her two kids. Off to figure out a children’s sermon, then lunch. I will be encouraging the kids to pick up the resolution of being helpful this year. I’m doing something with light, our symbols and sources of light in the sanctuary (stolen from Worshiping with Children blog), and encouraging them to be light sharers. I also found little tiny flashlights that go on your finger, so that should be fun enough. If you’re a Jan Richardson fan, she has some lovely blessings for epiphany that can be adapted for New Years too. The admonitions are “set aside time for God,” followed by some time for silent meditation and prayer; “consider your sins,” followed by a liturgy of confession/forgiveness; “rely on God’s grace”; and “resolve to be faithful.” I still need to figure out actions for those last two…maybe some discussion with a pew partner. I’m really excited to be doing Star Words next week. I’ve been cutting out words for months. 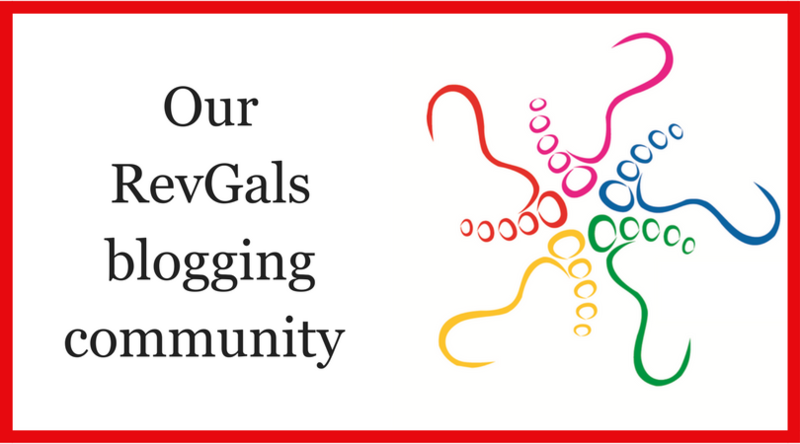 I hadn’t heard of them until I started reading RevGals; I’m so grateful for the creativity here! I love that idea of the Wesley covenant. I’m PCUSA but married to the UMC, and this is an idea worth borrowing! A number of people have mentioned a covenant renewal service. I need to look that up. Sounds great! I will use the Wesleyan Covenant prayer and Renewal Service next week, as we remember our baptism. I found a “contemporary language” version of the prayer that I am printing up on little cards for people to take home with them next week. This may be the first time in my life I’ve got next week’s sermon and service done already! Will be leaving right after worship tomorrow to drive nine hours for my mother’s 92nd birthday gathering with my siblings – and back again on Tuesday – so I wanted to have that work done in advance. Help yourself to some cashew brittle that may be my new favorite Christmas candy! Yum! I’ve had peanut and pecan brittle this year, but cashew sounds delicious. Happy Birthday to your mom! That’s a great reason to drive so far! I am thinking of including a covenant service in February when the 2 churches have a combined service. I am interested in seeing the ‘contemporary’ version of the covenant prayer, if you can share it. Praised for you or criticized for you. to your pleasure and service. Let it also be made in heaven. Amen. I would like to share Richard Bott’s version but since it is not mine and was printed in the resource Gathering for the United Church of Canada, I don’t feel comfortable sharing it. However, here is his website and it is no doubt there http://www.richardbott.com He has some great prayers and liturgies as well on a variety of things. We missed worship the 4th Sunday of Advent so I have combined the texts about Joseph with the RCL gospel for tomorrow. I’m remembering the children in need and those who protect them.